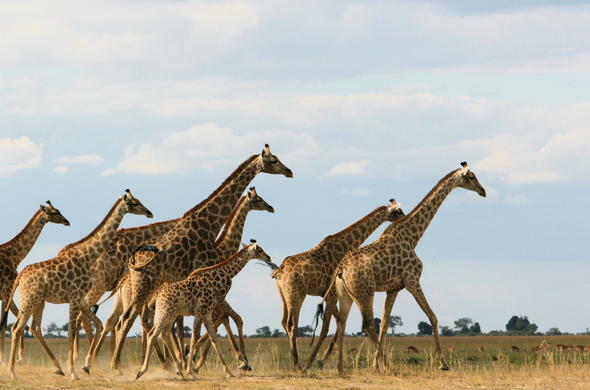 This Deluxe Chobe Wildlife Combo Safari tour takes you on a journey from the mighty Victoria Falls to the Chobe National Park which is renowned for its wildlife, especially its large herds of Elephants during the winter months. 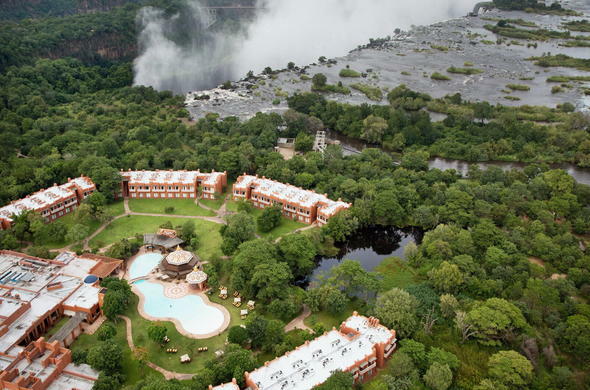 On the first day of our Chobe Wildlife & Victoria Falls Combo Safari Package you will catch a scheduled flight from Johannesburg O.R. Tambo International Airport to Livingstone. A guide will drive you to your lodge in the park- a short game drive through some great scenery. There will be some time to relax and settle in - perhaps have a refreshing swim in the pool. 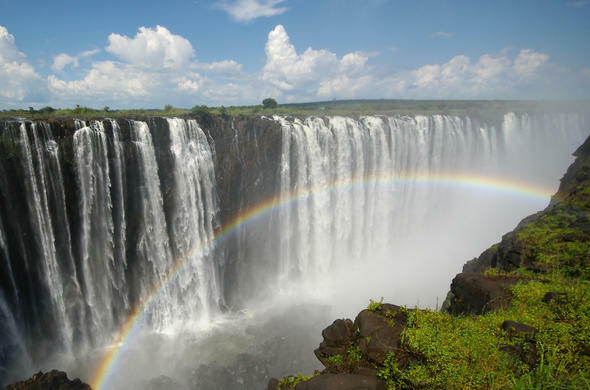 Today after breakfast, head out on a guided tour of the Victoria Falls on the Zambian side. Take in the majesty of the cascading water and look down on those who are brave enough to go white water rafting in the gorge below. Visit the craft market at the entrance to the Victoria Falls and haggle with the stall holders for a memento of the trip. During the middle of the day relax at the hotel or arrange to go on an (optional) activity such as bungee jumping. 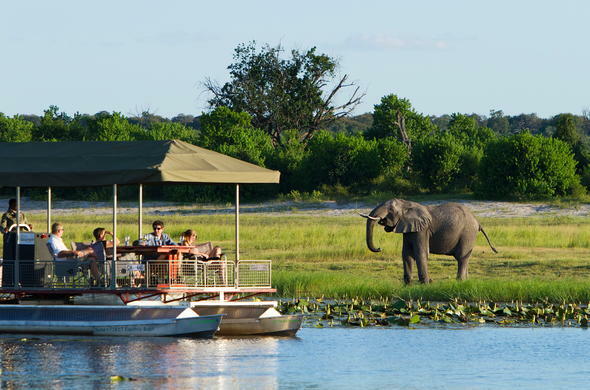 In the late afternoon take a sundowner's boat cruise on the Zambezi River above the Victoria Falls. In the morning you will enjoy a sumptuous full English breakfast before being driven to the Chobe National Park, crossing the border into Botswana so have your passport handy! Once you have arrived at the lodge there will be time to settle in and savour a decadent buffet lunch. 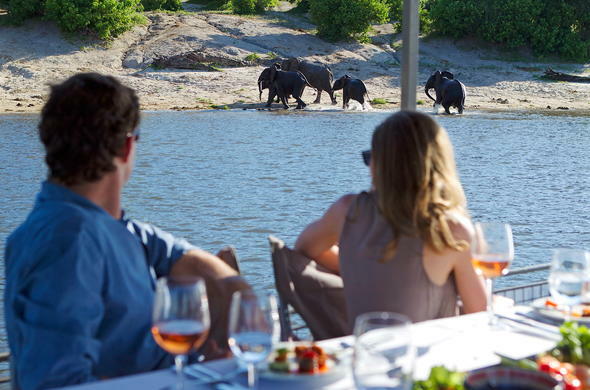 In the mid afternoon the afternoon game viewing activity starts - go on either a river cruise or a game drive in search of the famous Chobe Elephants. You might be lucky enough to see Lion, Leopard and Buffalo. Set out on an early morning game drive in search of Lion, Leopard and rare and endangered Wild Dogs. Along the way you may encounter many antelope including Impala, Zebra and Sable Antelope. Of course in the dry season huge herds of Chobe Elephants that are drawn to the river in search of water. Return to the lodge for a spectacular lunch which consists of a hot and cold buffet. There will be time for a siesta before tea and cakes. Take to the water in a boat and cruise up the river, watching to see what animals are on the floodplain and come down to drink. Sip on refreshing sundowners and watch the sunset spread across the sky. The boat will return to the lodge in time for a sumptuous dinner. There will be time for one last game drive in search of Lion or Wild Dog before a delicious breakfast, after which you will check out and be driven to the Kasane Airport. There you will clear immigration and catch a scheduled flight to Johannesburg O.R. Tambo International Airport in South Africa. This Package is calculated per person sharing a double room, including scheduled flights to / from Johannesburg and a road transfer between Livingstone and Kasane.